Nature Captured in Bold, Bright Colors & Broad Brush Strokes. Pretty Birdies Painted to Pop off the Panel & Fly into your Heart. It never ceases to amaze me how blocks of color can blend together to create beautiful, non-abstract forms. Paintings that are not shy about showing brush strokes (as opposed to being painstakingly blended) are some of the most beautiful to me because you can actually imagine the artist at work. Thanks to a wide array of brush sizes and bright hues, painter Angela Moulton makes wonderful use of this style to create works that are as alive as the subject matter she features: Birds that pop of the panel, Flowers as fresh as the day they were picked and Foods you can almost taste. With the mission of bringing color to the world, Moulton takes what she sees and enhances the shades for paintings with amazing vibrancy. I find myself inspired as much by her color choices as the movement in her strokes. You can almost see brush in hand, dancing across the canvas or panel to bring the work together. 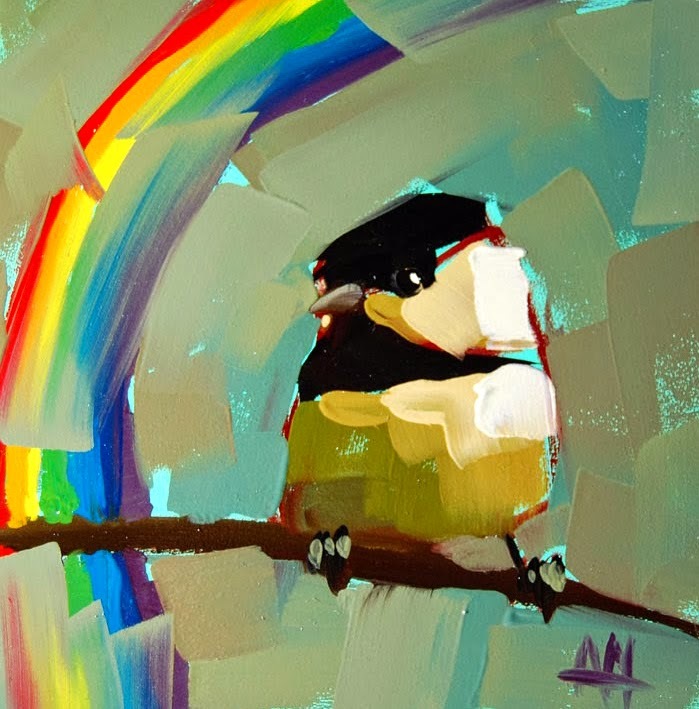 Birds seem to be a personal favorite of this artist in terms of subject matter, as the majority of her prolific portfolio features one of a kind renditions of these fine feathered friends. How lucky that there are countless bird species to spotlight! And how smart that Moulton continues to practice and explore with a painting almost everyday. 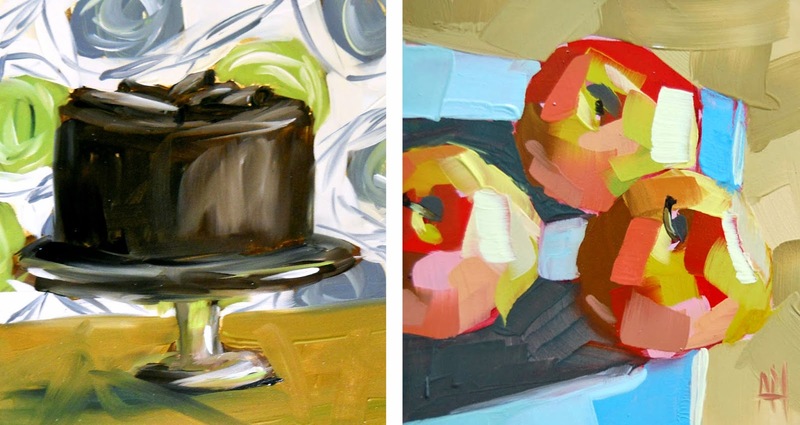 While the animals and items featured in her paintings are mostly true to form, she often opts for a more abstract or patterned background to keep the focus front and center. There isn't one of this artist's paintings that I wouldn't be proud to hang in my own home.